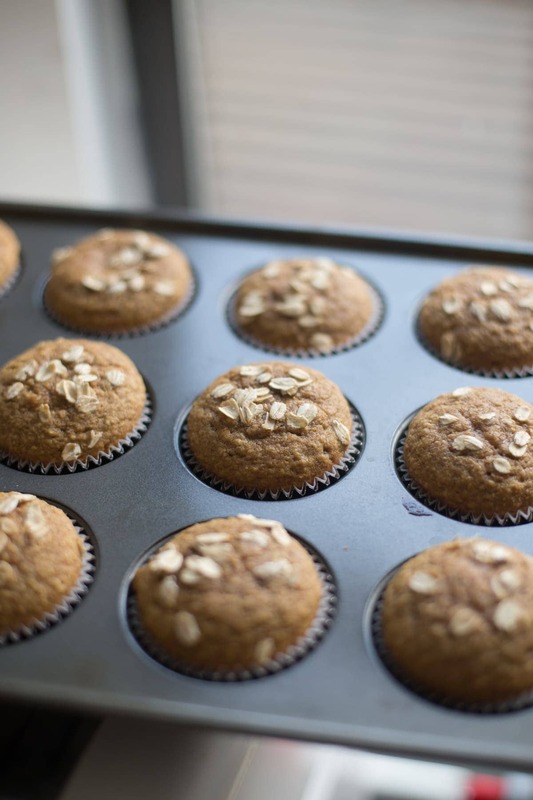 Healthy and festive for Fall, this Pumpkin Bran Muffins Recipe is a simple solution for a breakfast snack. My kids love ’em and so will yours! 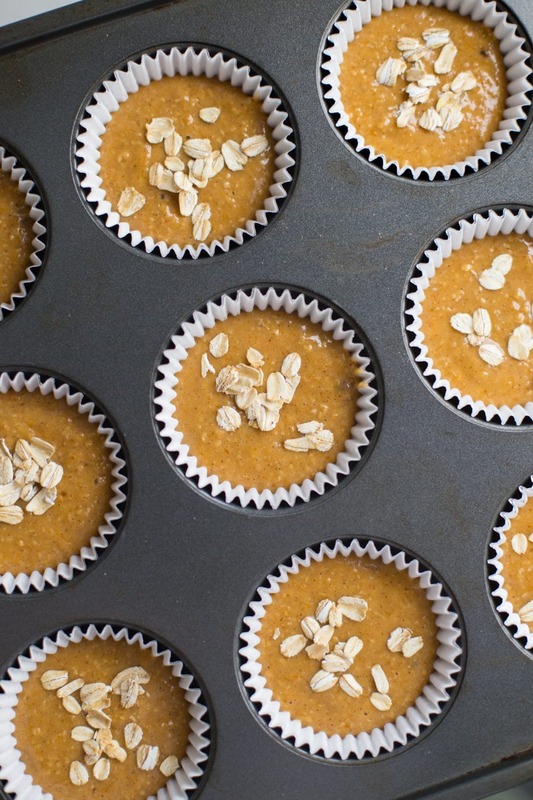 Pumpkin Bran Muffins are a thing. A delicious and nutritious, super simple, one-bowl kinda-thing. 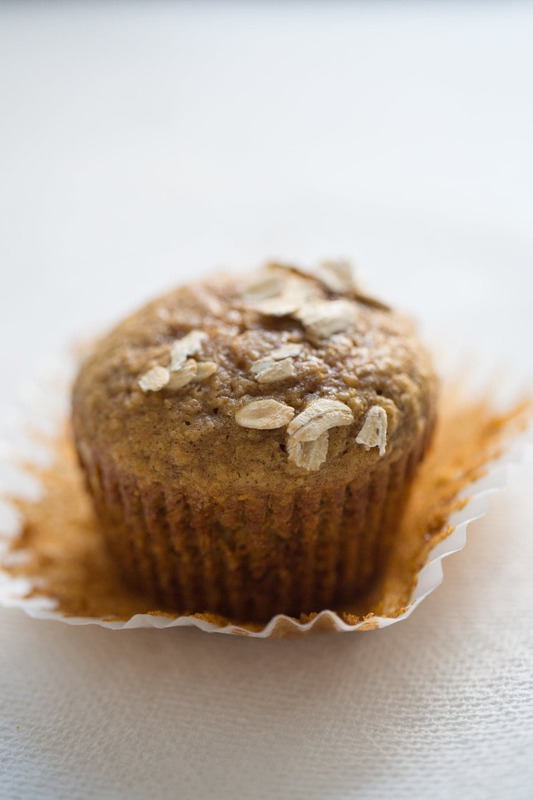 Are you a muffin fan? I’m not sure I’ve ever met a muffin hater because my circle of friends all loves muffins. 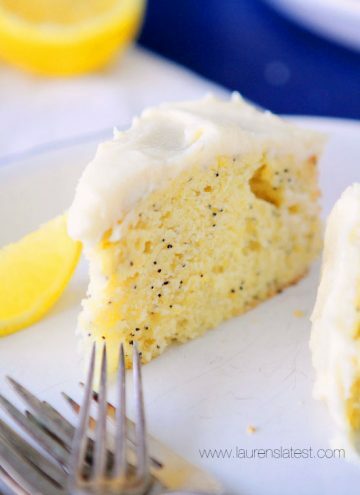 They’re essentially a healthy cake you can eat any time of the day and get away with it. Like the plain jane, comforting cousin of the cupcake. 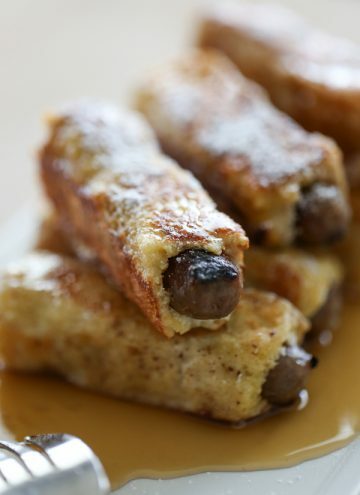 Who wouldn’t like that (besides the low-carb eaters who hate life anyways…)? Have I mentioned I’m a bit of a plain jane? I quite enjoy vanilla cupcakes, waffles without syrup and bran muffins. If they are made well, then there is no reason to not like them. Also, I’m a big carb eater. Ha! Anyways, below are a few photos of the process that are pretty self-explanatory but be sure to pin or print the recipe card down at the bottom of the page. 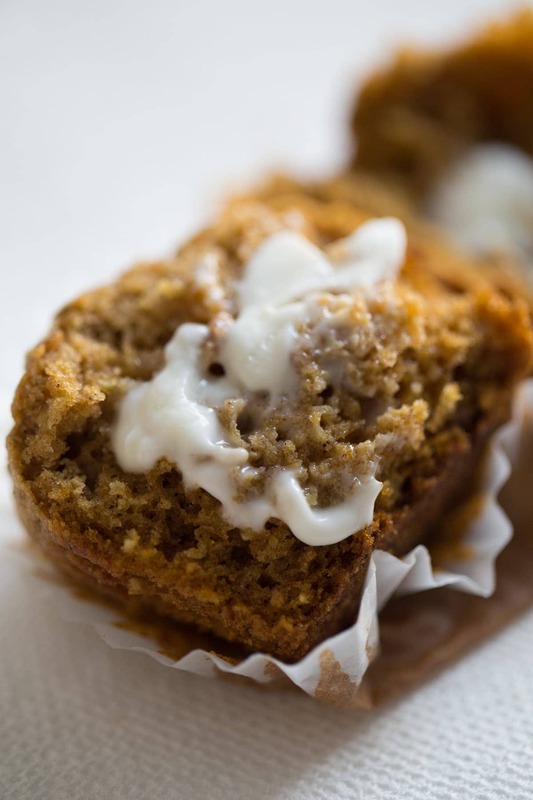 Healthy and festive for Fall, this Pumpkin Bran Muffins Recipe is a simple solution for a breakfast snack. My kids love 'em and so will yours! Preheat oven to 350 degrees. 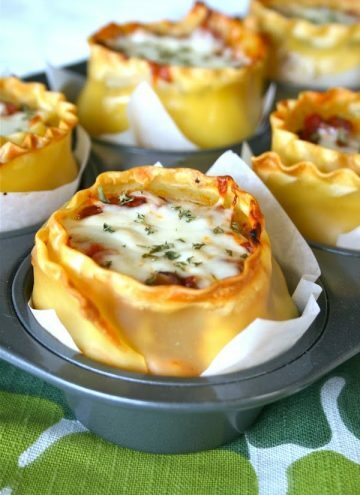 Line 18 muffin tins with paper liners and set aside. In a large bowl, whisk sugar, flour, oat bran, cinnamon, soda, and salt together until well combined. 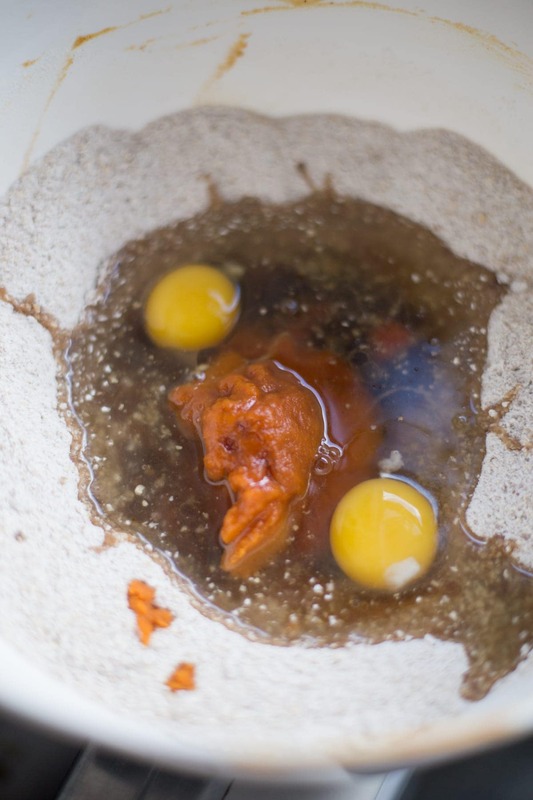 Create a well in the center of the dry ingredients and add remaining wet ingredients: pumpkin, maple syrup, eggs, oil, vanilla, and milk. 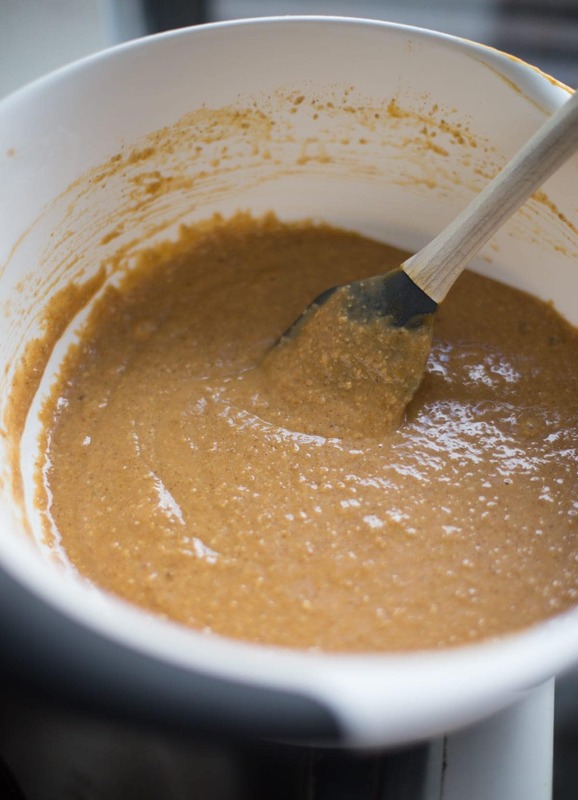 Slowly whisk all ingredients together until smooth batter forms. 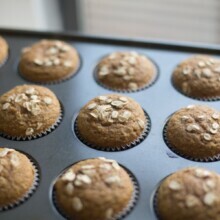 Scoop into muffin tins 2/3 full and sprinkle with rolled oats. Bake 15-20 minutes or until toothpick comes out clean. Serve warm with butter or cool to room temperature and store in airtight containers for up to three days on the counter or up to 5 days in the fridge. 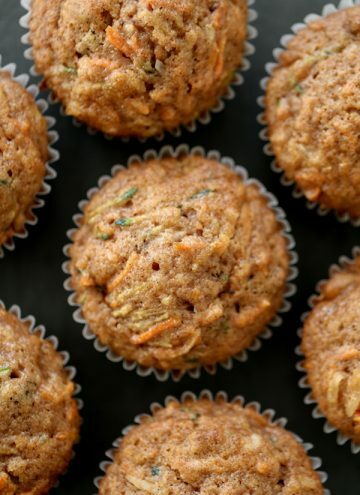 I just made these muffins .They are really outstanding., so easy and absolutely delicious. My husbands loves them and thinks I’m brillent because I baked them. Just made these as mini muffins. Swapped one egg for 1T flaxseed and used applesauce instead of oil. Also made half with cinnamon sugar pecan topping. 12 mins. Perfect! Could you please clarify for me oat bran? The only thing I can seem to find is the cereal, but I’m assuming that’s not what you mean? Where is it, what is it? Thank you!